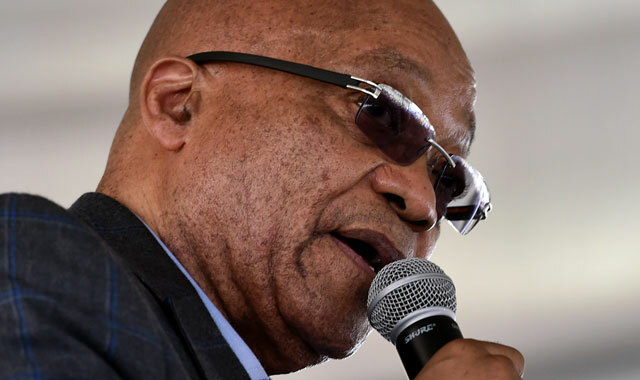 President Jacob Zuma appears increasingly vulnerable in a power struggle with his finance chief after a series of new allegations emerged about the business dealings of members of a wealthy family who are his friends and in business with his son. Finance minister Pravin Gordhan is receiving growing support from senior government officials as he faces fraud charges. On Friday, he went on the offensive by disclosing in an affidavit to the high court that members of the Gupta family and companies they control have been implicated in “suspicious transactions” worth R6,8bn over the past four years. The revelations upped the ante in a struggle for control of the national treasury that’s raged since Zuma, 74, named Gordhan finance minister in December under pressure from business and ruling party leaders after his decision to give the post to little-known lawmaker Des van Rooyen sparked a sell-off in the rand and nation’s bonds. Zuma and the Guptas are already the subject of an investigation by the nation’s public protector over whether the family wielded undue influence over the government — what is known in South Africa as “state capture”. Deputy finance minister Mcebisi Jonas said in March that the Guptas offered him the ministerial post in exchange for business concessions. Both the Guptas, who plan to sell their South African assets, and Zuma deny any wrongdoing. The president is seeking a court order preventing the publication of the graft ombudsman’s findings. Gordhan filed the affidavit to obtain a court ruling that he can’t intervene in a decision by the country’s largest banks to close accounts of Gupta companies, as family representatives repeatedly asked him to do, because he doesn’t have the legal authority and the lenders’ decisions appear warranted. A document from Murray Mitchell, the director of the Financial Intelligence Centre, that was annexed to Gordhan’s court application, listed 72 suspicious transaction reports implicating members of the Gupta family and their companies, some of which comprised multiple entries for which no amount was listed. He didn’t specify why the transactions were considered suspect. Bell Pottinger, a PR company that represents the Guptas, said the family wouldn’t immediately comment. Zuma’s spokesman, Bongani Ngqulunga, didn’t answer calls to his mobile phone. Zuma is currently attending a summit in India. Speculation that Zuma wanted to fire Gordhan and appoint a more pliant treasury head was fueled by an 11 October announcement by prosecutors that they plan to charge the minister with fraud over his approval of the early retirement and subsequent reappointment on a contract basis of a tax agency official. The tax agency’s lawyers approved the decision more than 18 months after it had been vetted by Gordhan in 2009, Johannesburg’s City Press newspaper reported Sunday, citing a letter sent to the National Prosecuting Authority. Gordhan, 67, who’s been a key driver of a campaign to maintain South Africa’s investment-grade credit rating, which is up for review in December, has said the charges against him are frivolous and politically motivated and he’ll only vacate his post if Zuma fires him. On Sunday, deputy President Cyril Ramaphosa, a leading contender to succeed Zuma, said the finance minister had his moral and political support and that legal processes shouldn’t be abused. Gordhan has also drawn backing from civil rights and business groups, former finance minister Trevor Manuel, and labour unions and communists who are allies of the ANC. At least eight government ministers plan to express their dissatisfaction with the way the case against Gordhan has been handled when the Cabinet meets on 19 October, Johannesburg’s Sunday Times newspaper reported. Under the constitution, Zuma must step down as president in 2019. Pressure for him to quit or be fired has been mounting since the nation’s highest court ruled in May that he violated the constitution when he refused to repay taxpayer money spent on upgrading his private home. Discontent with his rule contributed to the ANC’s worst-ever electoral performance in a municipal vote in August that saw it lose control of three major cities, including the capital, Pretoria, and Johannesburg, the economic hub. The ANC’s decision-making national executive committee, which is stacked with Zuma allies, has helped shield him from censure. Gordhan’s affidavit adds weight to the argument that Zuma has abused his position to further his economic interests and those of his family and allies. Zuma and his Mafia inner circle at the NEC are still down on the political beach picking up the pretty sea shells after that most unusual ‘low tide’. Fortunately for the rest of us citizens they are so chuffed with their trophies that they and Zuma are totally ignoring that scary thin line of brown water sweeping in from the distant horizon. I think the horror of that thin brown line fast approaching the shore is known in Political Science circles as a Zuptagate Tsunami. Move to the high ground citizens, this is when the real fun starts. I hope Zuma loses soon. Our country can’t take much more of him or his stupidity.